Motorhomes for sale Chichester wide and beyond can be a superb investment for families. Get out on the open road, whenever the weather’s good, stop when you feel like it, and save on hotel bills. You’ll have seen similar vehicles in American movies and may be inspired to recreate the lifestyle yourself. There are some downsides, of course; many of these are easily surmountable though. In this article, we’ll run through both sides of the story, so you can decide whether a motorhome is for you. And if you decide to buy, we’ll also offer a top tip on finding the best motorhome dealers Sussex wide. We mentioned American RVs and it’s best to note here that the motorhomes for sale in Chichester and the UK as a whole are not necessarily going to be as big and spacious as those you see on TV. That’s principally because our country roads aren’t nearly as wide as American freeways. So, it’s well worth visiting a dealer in motorhomes for sale Chichester way before you set your heart on buying one, to check the interior and gauge whether you could live in a space like this. You will, of course, need a full driving licence. In fact, if the motorhome you choose is more than 3,500kg in weight, you may need to upgrade it to drive a category C1 vehicle. That may mean taking another test. Speaking of the driving, you’ll find it much heavier and less manoeuvrable than a standard car. This can be tricky for inexperienced drivers to get used to. On the plus side, though, a motorhome is generally easier to drive and control than a caravan hitched to a car. Its smaller footprint means it’s less hassle to find a parking spot too. A caravan must be hitched up to a car when you’re ready to move, which can be no fun in driving rain or cold temperatures. 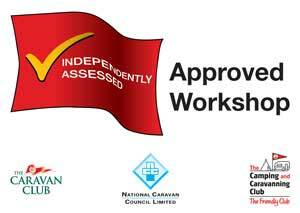 But unlike a caravan, which can be unhitched, your motorhome travels with you wherever you go. So, once you’ve found a spot to camp, it’s your only transport if you need to pop to the shops in a nearby town or sightsee for the day. However, that does mean you’ll have all your possessions with you and can keep an eye on them at all times, rather than risking valuables being stolen from your caravan while you’re out for the day! These, of course, are just a few pros and cons of the new and used motorhomes for sale in West Sussex and beyond. At Premier Motorhomes, of course, we love the whole concept, and thousands of satisfied customers over nearly twenty years of operation tells us that many other people do too! Imagine being able to decide to go away on the spur of the moment without booking hotels, trains, or plane tickets. If you’re inspired, find out what’s available in terms of motorhomes for sale Chichester way on our website at https://premiermotorhomes.uk or visit us in our showroom at Premier Business Park, Main Road, Birdham, Chichester in West Sussex, PO20 7BU. And you can always call us to discuss your queries on 01243 210030.